With the summer season we buy an assortment of fruits to enjoy. One of my favorites is mango. I love making drinks, sides and main courses using it. Recently, I used it as part of a dish of seasoned grilled fish. 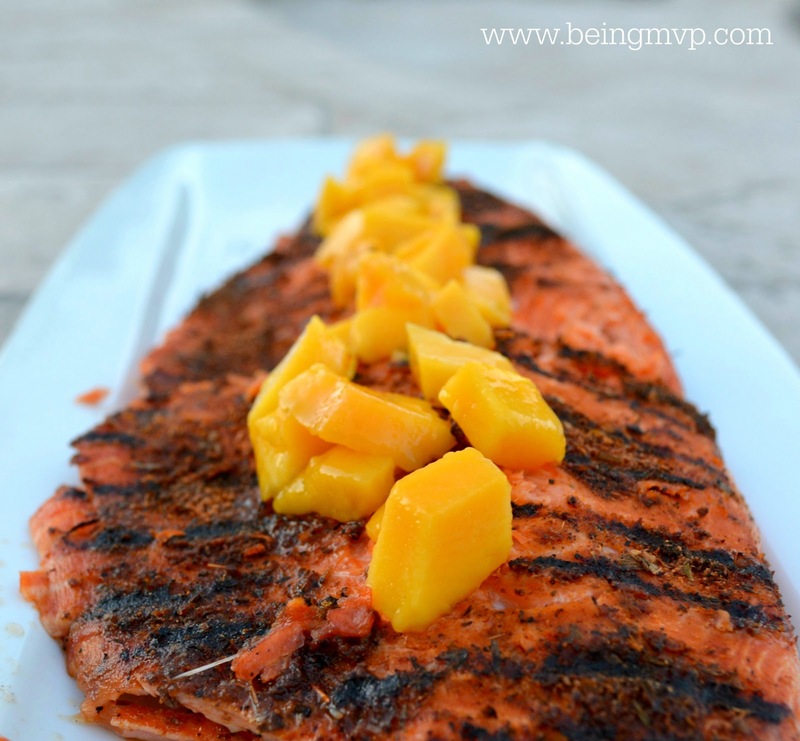 Mango gives the perfect contrast to spices that the fish is seasoned with, giving it a fresh, crisp, sweet and tangy taste. Remove from heat and top with the diced mango. 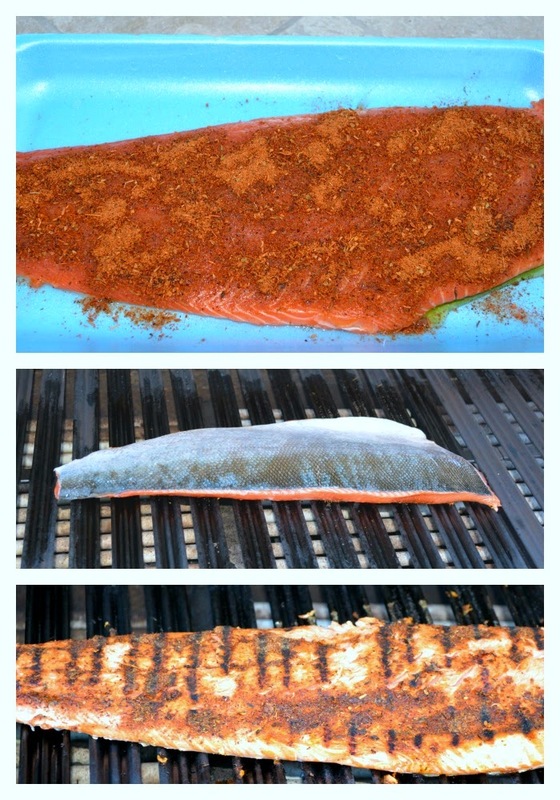 Do you grill fish? What are some of your favorite recipes? I do love salmon but have not grilled it yet. I usually bake it. But this recipe looks delicious and I would enjoy it! Thank you for sharing this recipe. I know my husband will love it! This looks and sounds fantastic! 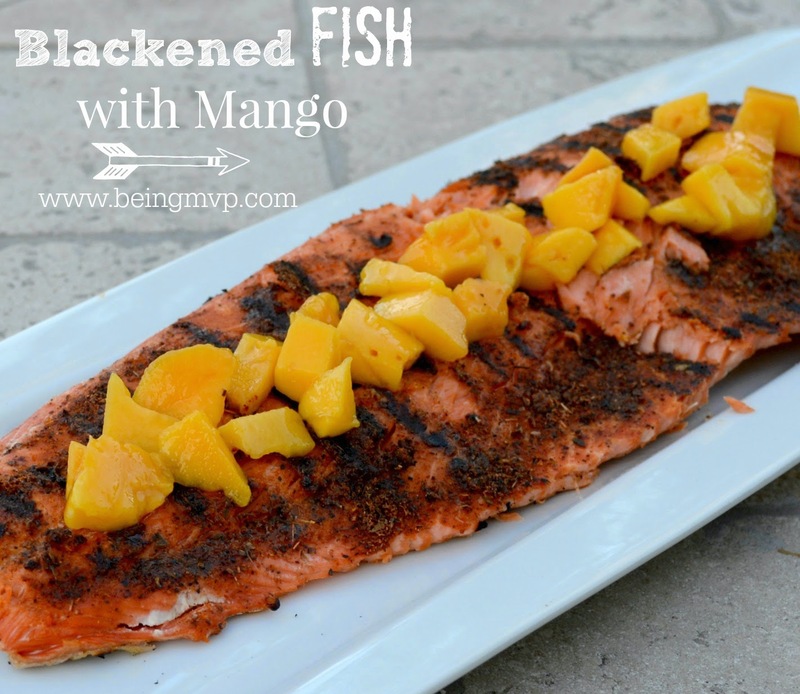 I'd like to try Paul Prudhomme's Magic Seasoning Blends: Blackened Redfish Magic, too! I am not a huge fan of fish but my husband and son would love this. It sounds delicious. I love fish and mango. Would love to try this. This recipe looks awesome and so healthy for you too! My husband would love this! It looks very similar to a dish he had in Maui. I will have to try making this for him. Thanks! This looks amaaaaaazing!! I wish we could find good fresh mango around here! !